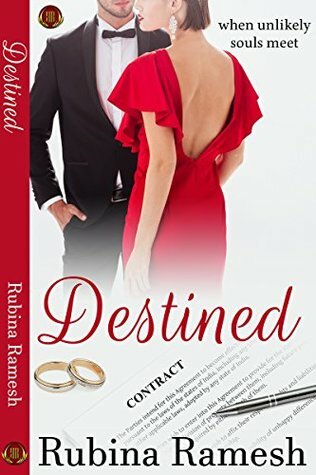 Unexpected twists and turns makes our life more interesting and thrilling..In this book, Author talks about the way in which fate changes the lives of Esha Mehra and Rohan Sharma..”Destined” is a story of love, relationships, trust, commitment and self respect..
Esha Mehra is shocked when she finds out that her father has cancer..She is worried as she had already lost her mother to same dreadful disease..Her fiance and childhood friend Ayush is indifferent towards her father’s health.He and his mother feels that it’s not Esha’s responsibility to take care of her father as she is a daughter..Esha feels offended and upset on their insensitivity and ends her relationship with Ayush..
She meets Rohan sharma, her boss, to discuss about availing loan from office..She is surprised when Rohan has different plans..He asks her to agree for a contractual marriage with him just for six months..He says that he will take care of her father’s medical expenses if she agrees for marriage..She accepts and they get married..Rohan’s secret behind his sudden plan and whether they are able to live happily or not makes this story very much interesting to read.. I loved the way in which Author had portrayed the character of both Esha and Rohan..They are independent, head strong and likable..Esha’s self respect and her way of facing problems makes her special..Her responsibility and commitment towards her parents’ health is commendable..Author had beautifully narrated the relationship between Esha and Rohan. Author talks about the way this society wrongly perceives that a daughter is not responsible for taking care of her parents..It’s time to change this narrow mindedness of many people who think like this.. Overall, I feel that this book is good, interesting and engaging to read..
Disclaimer: I received a digital copy of book from the author in return for my honest review..I didn’t receive any monetary compensation for the same. 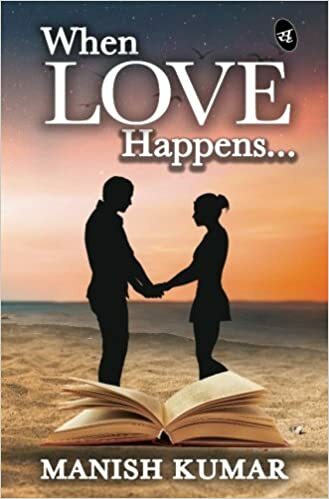 In this book, Author explains about how falling in love plays an important role in a person’s future life..This story is full of love, emotions,dreams, feelings, friendships and also failures..
Nish falls in love with a girl ‘G’ during his school days..He loves her so deeply but ‘G’ fears a lot due to their conservative backgrounds…He is more serious in their relationship but ‘G’ is not fully ready…He gets distracted in his studies and fails in achieving his dream of joining IIT..Finally he joins in another engineering college and tries hard to concentrate in his future life..Author explains about the events that happen after his college days and whether he succeeds in his professional and personal life or not makes this book interesting to read.. I feel that Nish’s feelings had been portrayed well by the author..His love, trust, frustration and forgiveness towards ‘G’ is understandable…When we love someone deeply, we couldn’t hate them fully…Love may make a person to think more from his heart and that’s what Nish does….’G’ is more suppressed, confused, afraid and unable to make strong decisions in her life..
Nish learns a lot from his failures and his experiences makes him more matured and happy in his life..Life is full of twists and turns and that’s why it’s worth living.. 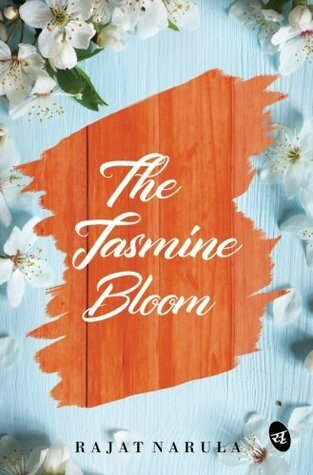 The story is good but I personally feel that this book could have been edited better..Narrations are OK but at times it becomes more repetitive.. Overall, I feel this book is interesting to read..
Disclaimer: I received a copy of this book in return for my honest review. I believe that in any relationship, trust and love towards each other plays a very important role..Further, the way we communicate our feelings is also vital..In this book, Author portrays the complexities of various relationships..
Sameer Chadha, a middle aged man, feels bad and worried about various incidents in his life..He couldn’t face problems and dirty politics in his professional life..He thinks that his wife Kavita doesn’t love him anymore and feels bad as his elder daughter treats him as a stranger..His younger daughter is the only person who talks to him more and sees him as a hero..
Kavita feels that Sameer had changed a lot after their love marriage..She feels that he is more concerned about his professional life and doesn’t discuss any problems with her..Both don’t communicate or express their issues and this causes strain in their relationship..
Sameer starts alienating from his family and his affair with his office colleague Ritu (who has an autistic son and abusive husband) creates more problems in his life..The way this affair affects both his personal and professional life is portrayed nicely by the author..The twist in the end of the story makes it very interesting to read..
To be honest, I couldn’t sympathize with Sameer’s character..His extramarital affair couldn’t be justified.. I got more involved with characters and this book is full of emotions.. Overall, I feel that this book is interesting and engaging to read..
Rohit, an Anti suicide associate, receives a final love letter, a suicide note, penned by Rohan to Dia..He gets the full love story of Rohan through whatsapp messages..Author had mentioned in the prologue that this book is never edited, has a very simple english and is written in whatsapp chat language..So, this book is all about love story of Rohan and Dia..
Rohan, who lives with his parents in Chennai, gets a job offer at a BPO in Hyderabad..He accepts the job as he is eager to live in another city and face new challenges (without knowing telugu) there..He meets Dia in the office..She is attracted towards him as he is talkative and makes others’ happy..Rohan also likes Dia but his ego stops him to express his love towards her..When she proposes to her, he first denies the same but after some days, he accepts her love..He starts loving her so deeply and surprises her a lot in her birthday (I liked the way he planned the surprises).. Both of them are madly in love with each other..Rohan is so possessive and he hates even if Dia laughs and talks to another guy..He realises that he is slowly becoming a psychopath..This creates a lot of problems among them and finally Dia breaks up with him..She falls in love with another person in the office and Rohan couldn’t bear the same..He resigns his job and returns to Chennai..He decides to commit suicide as he hates his life without Dia..Whether he takes his own life or not forms the rest of the story..
To be very honest, I can’t sympathize with Rohan’s character..Yes, his love is very true but it’s also fearable..If one person is extremely and madly obsessive towards another in love -then it breaks the relationship..There should be mutual trust and freedom in love and being more possessive definitely hurts a lot..Suicide is not a solution to any problem in life..Staying strong and facing the challenges makes our life to be more thrilling..
Disclaimer: I received a digital copy of book from Writersmelon in return for my honest review.